You can make your own chocolate occamy eggs in minutes! 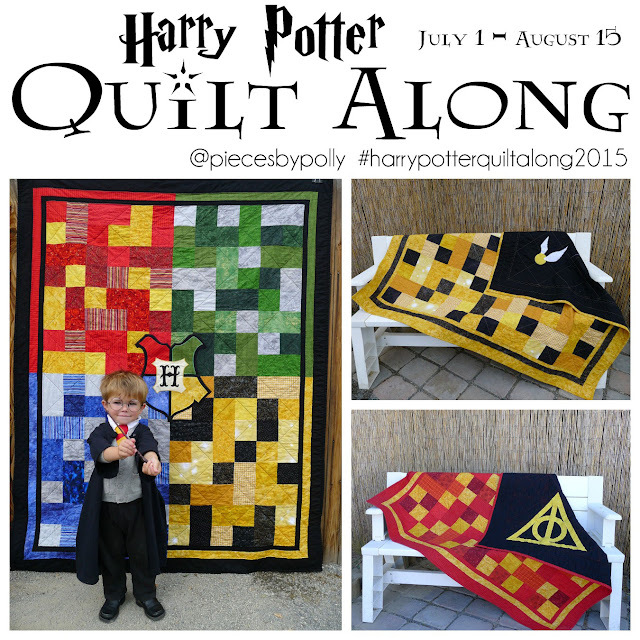 This is a super easy and fun surprise for anyone who loves Harry Potter or Fantastic Beasts and Where to Find Them. Newt has an occamy egg in the beginning of the Fantastic Beasts film that is hatching while he's trying to track down his niffler...and at the end of the film he gives a suitcase full of their solid silver eggshells to his No-Mag friend Jacob so he can start his bakery. 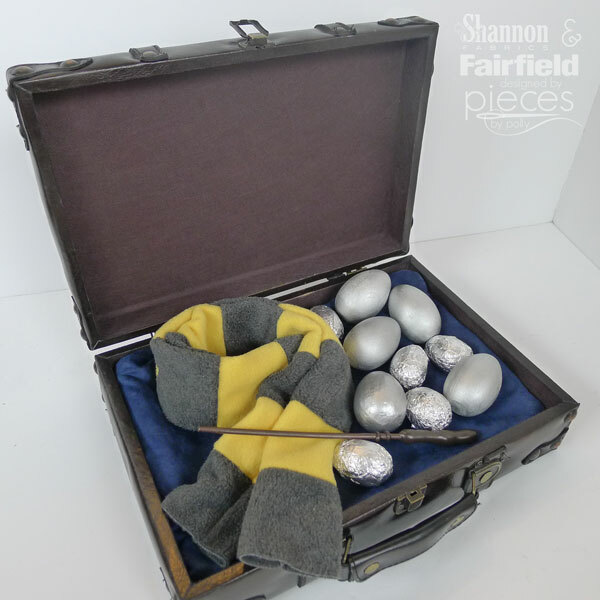 So their silver eggs aren't a huge plot point...but are definitely one of the awesomely fun details that J.K. Rowling is so good at putting in her stories. 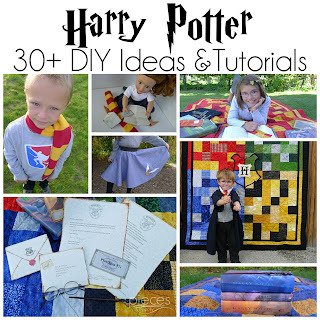 And the best part is you don't have to be super crafty to make your own. All you need is your favorite kind of chocolate eggs that already have a foil wrapping. Carefully unwrap the egg. Flatten the foil as much as possible. It's best to avoid tearing, but even if you tear the wrapper, this will still work. 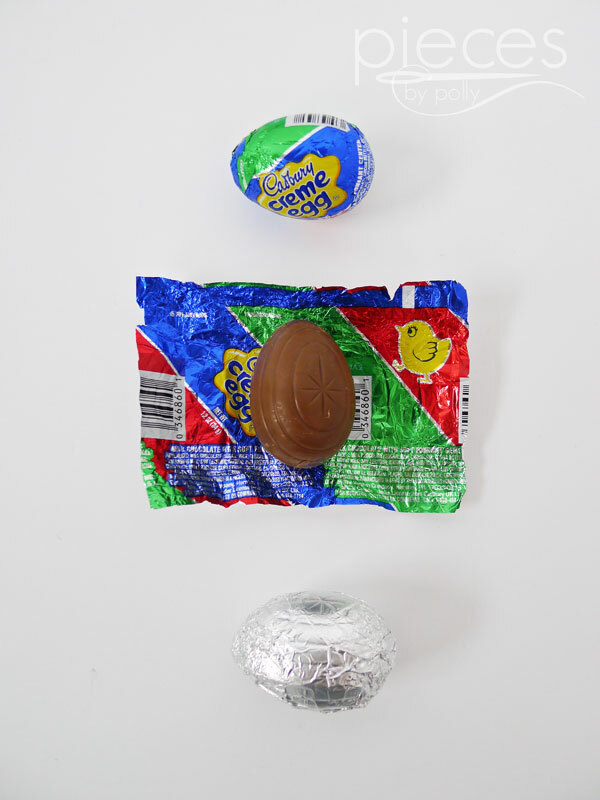 Re-wrap the egg with the printed foil on the inside and the silver foil on the outside. And you're done! I wanted some forever eggs to keep around after Easter is over, so I also painted some craft eggs with silver paint. I used both paper-mache eggs and wooden eggs. The wooden ones are my favorite because they look smoother and have more of a "real" egg weight to them. And what better Easter "Basket" than to fill up a suitcase reminiscent of Newt Scamander's? 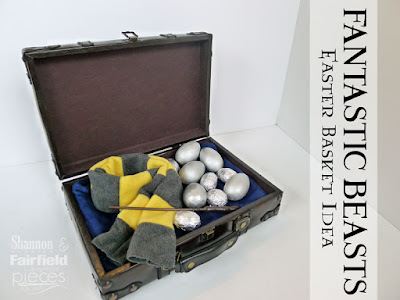 You can find out all the details for how I made my Newt Scamander Easter Basket on the Fairfield site. 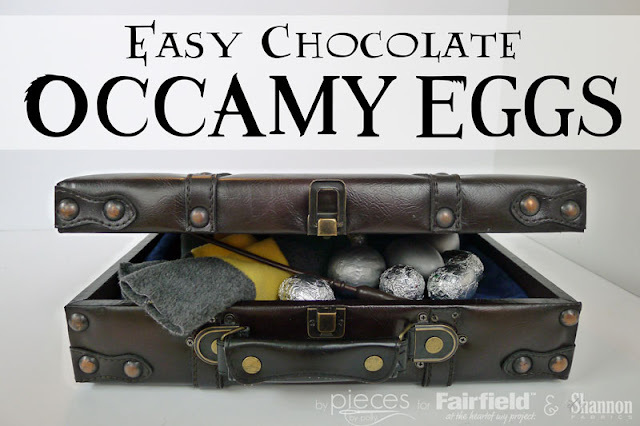 The chocolate Occamy eggs are so tasty. Love the briefcase. That's right! By the way, the immense benefits of crowdfunding for the needy people in society can be described in words. For medicine, care, treatment, schooling, sheltering it's advantageous are untold.